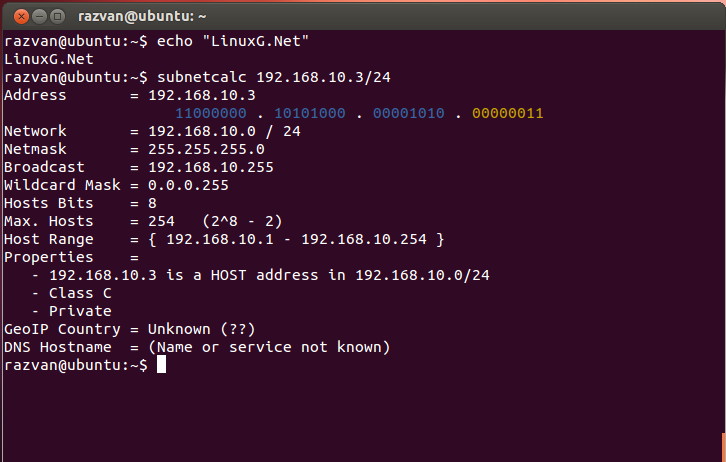 As you may know, SubNetCalc is a useful command-line app for calculating IPv4 or IPv6 subnet address calculator. For given ip addresses, masks or prefix lentgs, the app calculates network addresses, broadcast addresses, the max number of hosts and host address ranges, the output being displayed in colors. The latest version available is SubNetCalc 2.4.2, which has been recently released, bringing fixes.